Born in September 2001 in Anykščiai, Lithuania, Milda Daunoraite began her piano studies at the age of six. She is currently studying piano performance at the The Purcell School For Young Musicians, London, under the tutelage of Justas Dvarionas. Under the auspices of the “S.O.S. Talents – Fondation Michel Sogny pour les Enfants Talentueux and Mstislav Rostropovich Foundation, Milda began performing extensively throughout Europe for many eminent music societies, festivals and key events. Milda has performed at venues such as the Concertgebouw in Amsterdam, Musikhuset Aarhus in Denmark, United Nations Headquarters in Geneva amongst others. In addition, she was given the opportunity to display her craft in countries such as France, Georgia, Poland, Switzerland, Germany, Denmark, Holland, Latvia, Russia, Sweden, United Kingdom and many cities across Lithuania. Furthermore, Milda is a prize-winner of numerous national and international piano competitions. In 2010, she was adjudicated a GRAND PRIX winner in the 10th International Competition “Music Without Limits”, Lithuania. In 2014, Milda won GRAND PRIX in the International Musicians Competition – festival “RENAISSANCE“. In 2015, she won 1st prizes in the 4th International Competition in Stockholm, International Young Pianists Competition in Klaipėda, Lithuania, and the 20th International Piano duet Competition “L. A. Bruk – Brat i Sestra“. That year, Milda‘s playing was well received by the jury once again and she received GRAND PRIX in the 15th International Competition “Music Without Limits”, Lithuania. Moreover, Milda was a four-time Prize winner in the National and International Balys Dvarionas Competitions for young pianists and violinsts, followed by several special prizes : the best performance of baroque piece, best performance of a classical composition, best performance of a contemporary piece, artistic prize. In 2016, she won the ‘jury‘ prize in the PIANALE International Academy & Competition and was awarded a concert in Fulda, Germany, and an opportunity to play with an orchestra. In 2017, Milda was a 1st prize winner in the 17th international competition-festival „AKORDI XORTICI“, as a soloist and as soloist with orchestra. 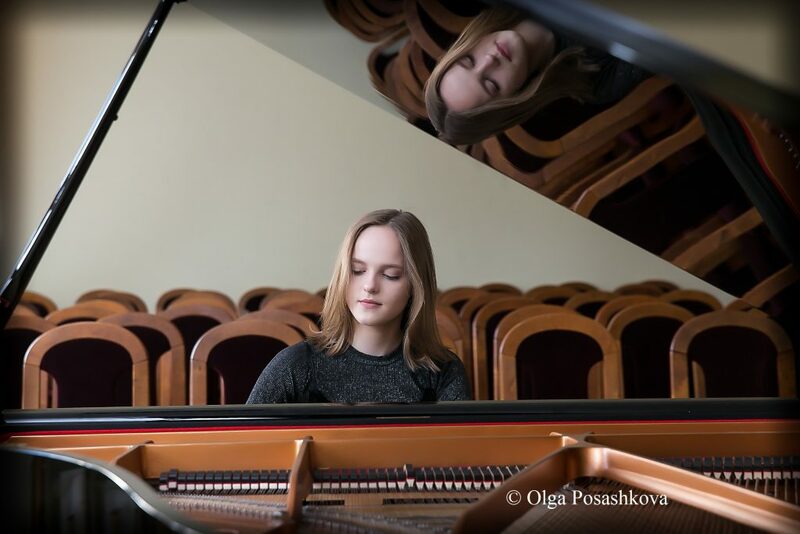 In March 2018, she won the 1st Prize in the International Vladimir Krainev Young Pianista Competition in Kharkov, Ukraine, as well as special prizes : the best performance of the classical period composition, best performance of the piece by F.Liszt, best performance of a virtuoso piece, EMCY Prize. In April 2018 she also won the Grand Prix at “Akordy Khorticy”. Every year, Milda has an opportunity to appear in a Christmas concert held on the Champs Elysées in Paris. The young pianist’s performances were broadcast by Mezzo & TV5 Monde. She has also performed in the Batumi concert hall twice, which was watched by both the Lithuanian and Georgian Presidents and at the EMMA World Summit of Nobel Prize Peace Laureates in Warsaw, Poland. Milda has participated in masterclasses with artists such as Pascal Devoyon, Pietro De Maria, Yong Hi Moon, Grigory Gruzman, William Fong, Mūza Rubackytė, Uta Weyand and many others. If you are interested in working with Milda, please get in touch with the EMCY Office.